“In 2009, the Royal Concert Hall acquired its first Steinway Model D Grand Piano, enabling the Nottingham Classics programme to attract the greatest performers and musicians to the venue and to establish a Sunday Morning solo piano series, which is now in its tenth season. Ten years on, the time has come to replace this piano and select a replacement Steinway for the busy concert programme that will serve the venue for the next decade. 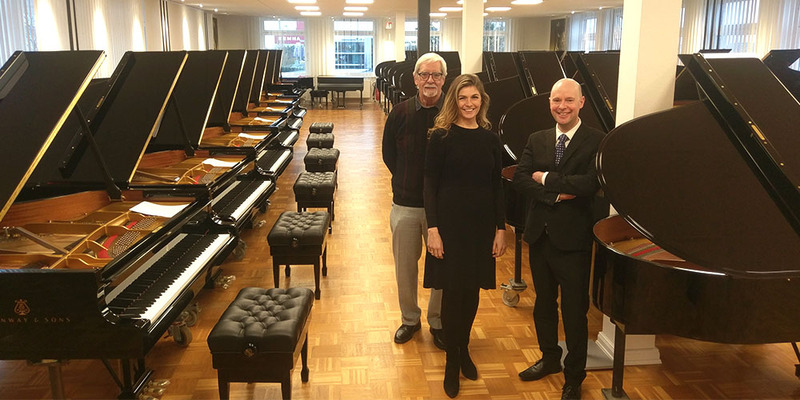 Music Programme Manager, Neil Bennison; piano technician, Phil Taylor; and Steinway Artist, Cordelia Williams – a regular performer at the Royal Concert Hall – visited the Steinway factory in Hamburg to make the selection. It was a fascinating trip and a unique opportunity to learn how craftsmanship handed down over generations, co-exists with state-of-the-art technology to create the prestigious instruments that grace the world’s greatest concert halls. In some parts of the factory, machines guided by computers, cut, drilled and etched sections of wood and metal, whilst in other areas, skilled craftsmen used traditional techniques using a hammer and chisel to carve the ribs on a soundboard. 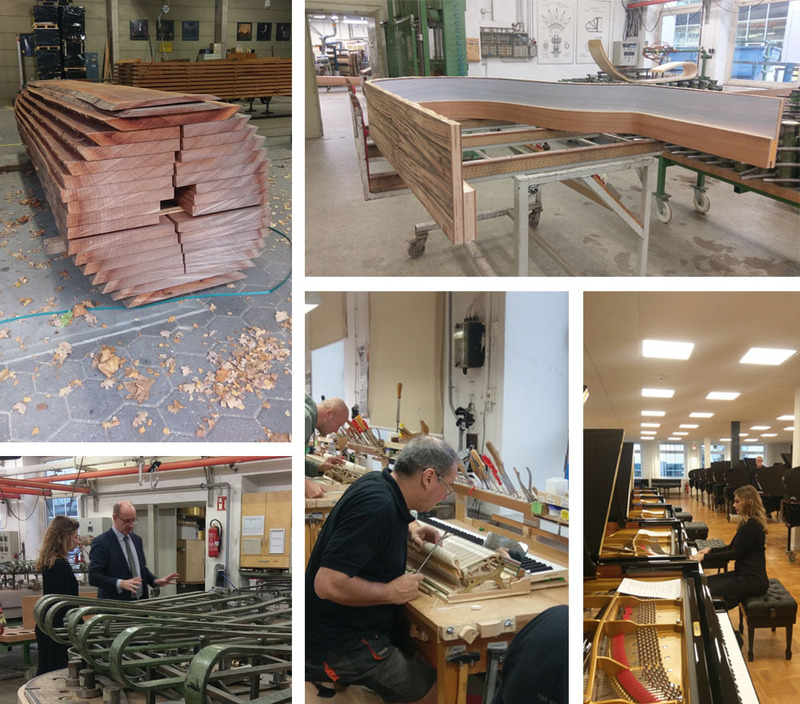 After a VIP welcome and tour of the Steinway premises, (a vast site where every element of a Steinway piano – whether a compact upright or a 9ft concert grand – is fashioned) our team were faced with the difficult decision of choosing between six new Model D pianos. A rigorous testing of each piano’s responsiveness, balance of sound and projection – nearly two hours in total – led to the final selection of a Steinway No. 609738. We’d like to thank Steinway for such a memorable visit to Hamburg. We trust our new arrival will prove popular with visiting pianists and give us sterling service over the next ten years. Tickets for these 2 events are available to book online or via our Box Office.